EWG scientists reviewed HairSil Accelerator Conditioner (old formulation) for safety according to the methodology outlined in our Skin Deep Cosmetics Database. We assess the ingredients listed on the labels of personal care products based on data in toxicity and regulatory databases, government and health agency assessments and the open scientific literature. 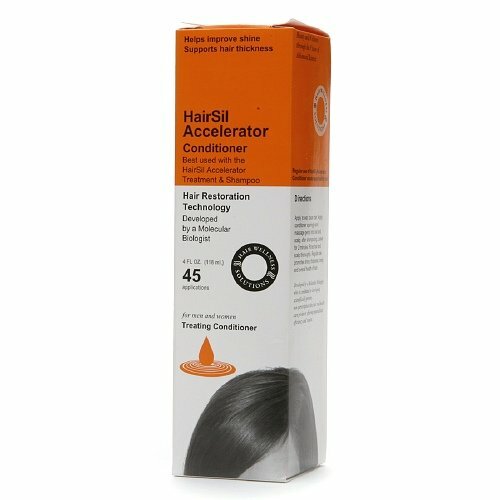 EWG's rating for HairSil Accelerator Conditioner (old formulation) is 5. Apply to wet, clean hair. Apply conditioner sparingly and massage gently into hair and scalp, after shampooing. Leave for 2 minutes. Rinse hair and scalp thoroughly. Regular use promotes shine, thickness, body and overall health of hair. WarningsFor external use only. Avoid contact with eyes. If contact occurse, rinse well with cool water. Discontinue if irritation appears.